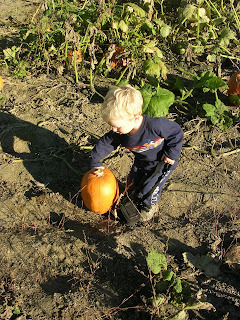 Time to head to the pumpkin patch and why not make an entire adventure out of it. Cedar Circle Farm in East Thetford, VT will be hosting their 8th annual Pumpkin Festival this Sunday from 10:00 am to 4:00 pm, rain or shine (the forecast is looking great by the way). Each year this event draws more than 1,200 people from the Upper Valley and New England. 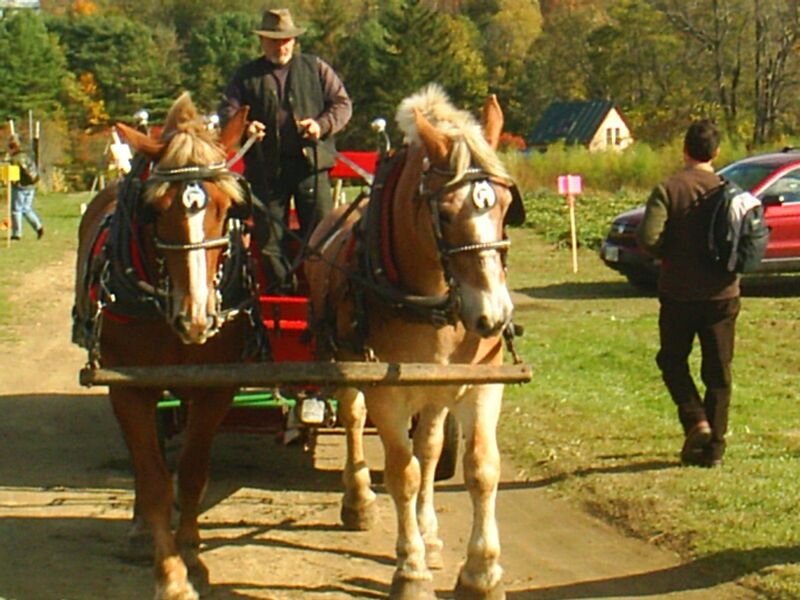 Take a horse drawn wagon ride to the fields to select that perfect pumpkin and then head back to the farm stand area to enjoy a multitude of activities. Cedar Circle will have face painting ($1 charge), crafts for the kids (barn wall mural, crayon station and pumpkin coloring), educational displays, cider pressing and live music by The Legendary Strafford Blues Band from 12:30 - 3:30. What's an event without lots of good food? Beginning at 11:00, you can enjoy local farm fresh food including grilled sausage, seasonal soups, homemade breads and desserts, Strafford Organic Creamery ice cream, Vermont Crepe and Waffle, Vermont Bean Crafters and NOFA-VT wood fired veggie pizza, yum! Take a rest after lunch and enjoy children's tales by local storyteller, Simon Brooks. Round out your day with a self guided tour of the farm, there's always a lot to look at and learn about including plants, gardens, animals, waste recovery area and more, Cedar Circle Farm is also an Educational Center that offers year round tours, workshops and outreach programs. Cedar Circle hosts "green" events and encourages you to bring your own reusable place setting in an effort to reduce the amount of trash generated and be a little kinder to our environment. If you walk, bike or take the train to the event, admission is free, otherwise load up your car with as many of your family and friends as you can and pay just $5 per carload. Bike to the event and take advantage of a free bicycle check up offered by The Bike Hub of Norwich, VT as well as bike related workshops. Not only is this Cedar Circle's 8th Annual Pumpkin Festival, it also happens to be their 10th Anniversary of organic farming in East Thetford! Congratulations! Unable to make it to the Pumpkin Festival? There's still time to pick your pumpkins and visit their farm stand. The stand will be open through the end of October and wagon rides to the pumpkin patch will be available the weekends of October 16th and 23rd (both Saturday and Sunday). Enjoy your day and tell your kids they can choose the pumpkin of their choose, as long as they can carry it! Have a wonderful weekend!